This restaurant is permanently closed. 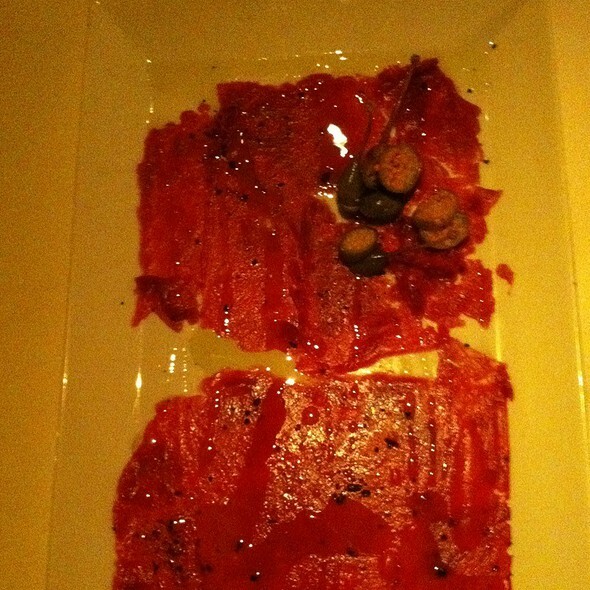 IM Tapas serves authentic food of Spain with a modern twist. Our food is based on sensations and essences. We respect traditions, the purity of the primary flavors and the work of dedicated artisans, while serving food that embraces the conceptual creativity of the new Spain. After October, 5:30pm - close. Very eerie to be in a restaurant that has only one other couple come in for dinner as we were finishing our dinner. Although food tasted great I can not understand how the food was fresh considering how empty it was. The best kept secret. Hidden away off the beaten track. Fabulous food. The restaurant was empty on a Friday ! Have eaten at IM Tapas four time 2018 each time was a totally different experience. This is an authentic spainish tapas restaurant fresh ingredients great wines and beverages and service. From the appetizers to desserts food was outstanding. Wine list has numerous good wines at reasonable pricing compared to others in the naples restaurant scene. Both the owners are on hand to greet you and assist you with your tapas main course picks. Hard to top the tapas anywhere even if you have traveled to Spain this is the real deal you’ll know it from your first bit. If your tapas type person this is the place for you. Quit dining at its best. Disappointing. This is a small restaurant. Bad planning on behalf of restaurant. We arrived to find a table set up for 16 guests arriving at same time as us. Restaurant unable to cope with only 2 servers. With some thought they should have had this large table of guests coming at 8pm not 7.15pm when everyone, including us, could have been given the attention needed. Also two tapas dishes we chose were not available.No potatoes with garlic and no salt cod. The shrimp tapas was 4 shrimp for $15. Overpriced and "sharing plates" too small to share. We loved everything about this place! The tapas dishes were delicious and generous (we had the squash blossoms, Iberian ham, and artichokes). We asked for recommendation on the ham, as they offer several. Whatever we got was, all agreed, just fantastic. My husband also ordered a main dish of elk tenderloin, which was beautifully presented, perfectly cooked and absolutely delicious. We didn't try dessert, but would guess by the quality of everything else that they're great. The food was excellent and the staff was engaging. Enjoyed speaking with the Chefs. An absolute gem. Very creative and extensive [enough] Tapas menu. Wine list is the right one for the experience. Service was excellent. This restaurant was tucked away and we would not have found it if we hadn't been searching on the internet for a place to go that evening. It was a terrific find! Quaint, cozy, authentic and tasty. If we were in the area again, we would definitely go back! food was outstanding. as was the service. i love this restaurant because you get to taste so many different dishes- all delicious. wish we had more of the grilled octopus. My husband and I have been to IM Tapas many times but this was the first time my celiac daughter joined us. Isabel was most gracious in pointing out the various foods my daughter could eat. We were very pleased with each Tapas we ordered...all were creatively prepared and delicious. The Wine list was extensive and a nice selection of Tapas. Very hard to make a decision on what to order. We topped the evening off with coffee and a fantastic dessert. If you are wanting a totally different dining experience then I would highly recommend IM Tapas. A lovely evening with in every way. IM Tapas is very good. Great Tapa's, wine list and service. I am surprised the restaurant isn't more crowded then it is. We always get the Ibirco ham (alittle pricey however it is special and hard to find), Chorizo in cider, Filet, Shrimp in garlic sauce and specials they always have. The cheese plate is great as well and would highly recommend. The food is always excellent. So many great great tastes and textures. Been there several toimes and never disappointed. We'll be back. One of our go to places. We went there for Valentines Day. Food is very tasty. I would have liked more options on the menu for small tastings. The spinach croquets are amazing, and empanadas also very good. The likely usually quiet scene (there were only 3 tables seated when we were there) was marred by crying and screaming children at a neighboring table ruining it for others. Paella, paella, paella. 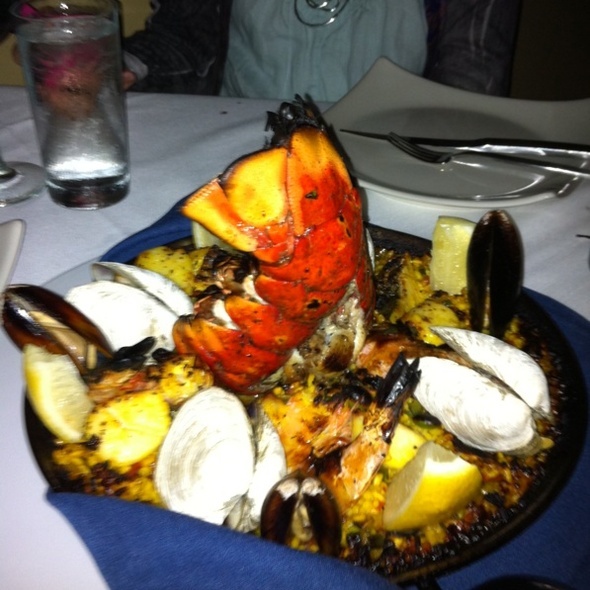 If you have a craving for it, there is no better place to have authentic paella than IM Tapas. Try the negra if you are in the mood for something different. That said, the marinera with extra lobster tails and chorizo is awesome. Very comfortable, attractive restaurant. Service and food were both good, although not worth the price tag. Our party of three tried six tapas and a medium priced bottle of red —- $165.00. In my opinion that does NOT fit into the advertised (2) dollar sign category on Open Table and for that reason we probably won’t go back. First time there..great food and service. Don’t be fooled by the location ..it’s worth a trip. Great food. Great wine list. Ask Isabelle for a recommendation. All tapas dishes are succulent. Everything on the menu is delicious. Isabelle and Mary do a fabulous job. Love this restaurant and encourage everyone to go enjoy authentic tapas in a friendly, low key atmosphere. Plenty of parking even during season - avoid the crowds and enjoy a terrific meal! Deeply satisfying dinner with simple, artful presentation of each tapas plate served in a sequence to convey the individual taste of each dish. We returned this year to a warm welcome by the owner (celebrating her tenth anniversary year) who visited briefly at the end of our meal. Delightful! If you like peace and quiet, dine at 5:30 when the doors open. We’ve been at 6:30 too when it’s quite busy. For us, the Albariño with some empanadas and duck, made a delicious dinner. Wait staff is very very nice. We will back often. Great choice. No wait to be seated. Beer and wine only. Wow - our second time here and what a great restaurant. Come early as service staff are a little slow when the restaurant is near capacity. Great empanadas and duck breast. Authentic delicious paella. Thoroughly enjoyed our dining experience. Simply outstanding. Food was incredibly fresh with fantastic flavors and nicely presented. Restaurant was about half full, but we heard nothing but compliments to the owner throughout the evening. A definite return visit is planned. 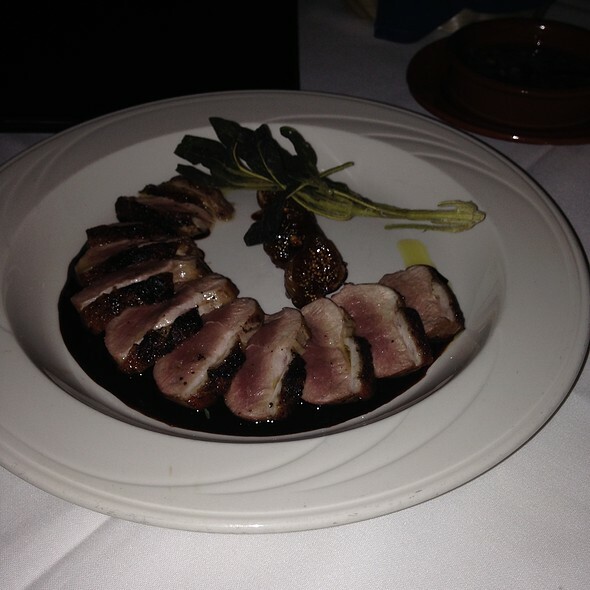 We dined last year at IM Tapas and really enjoyed it but really kind of forgot about it. We decided last minute New Years Eve to try it again and it was outstanding. We had the beet salad, the stuffed squash blossom and elk tenderloin and each were very special. The elk tenderloin was one of the best meat dishes I have ever had and I generally am not a game eater. We decided to splurge on dessert and were glad we did; we had a wonderful gelato/chocolate “cube” treat that was unusual and delicious. We enjoyed very attentive, knowledgeable wait staff. The setting is very quiet and peaceful; you can actually carry on a conversation. Would highly recommend in a heart beat!